Dr. Hollander's work focuses on Autism Spectrum Disorder, Asperger's Syndrome and Obsessive-Compulsive Spectrum Disorders such as Body Dysmorphic Disorder and Pathological Gambling. Dr. Hollander is a Clinical Professor of Psychiatry and Behavioral Sciences at the Albert Einstein College of Medicine and Director of the Autism and Obsessive Compulsive Spectrum Program at Montefiore Medical Center and the Albert Einstein College of Medicine. Previously he served as the Esther and Joseph Klingenstein Professor and Chair of Psychiatry at the Mount Sinai School of Medicine and was Director of the Seaver and NY Autism Center of Excellence in New York City. Before then he served as Associate Professor of Clinical Psychiatry at the Columbia University College of Physicians and Surgeons in New York. 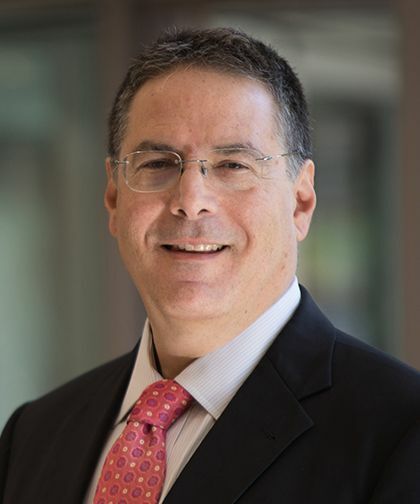 Dr. Hollander has served as the principal investigator for a number of federal grants, including the NIH Greater New York Autism Center of Excellence, the NIMH Research Training Grant in Psychopharmacology and Outcomes Research, and an FDA funded multicenter treatment trial of pediatric body dysmorphic disorder. He was the principal investigator of the autism Clinical Trials Network, and Chair of the eight centers NIH STAART Autism Steering Committee. He is involved in research on the neuropharmacology, neuropsychiatry, functional imaging, and treatment of obsessive-compulsive disorder, impulsive/aggressive personality disorders, obsessive-compulsive-related disorders such as body dysmorphic disorder, pathological gambling, and autism. Dr. Hollander served as Chair of the DSM-V Research Planning Agenda for Obsessive Compulsive Behavior Spectrum Disorders, and member of the DSM-V Anxiety, Obsessive-Compulsive Spectrum, Post-Traumatic and Dissociative Disorders Workgroup, and the Behavioral and Substance Addictions Workgroup. Dr. Hollander has received a Research Scientist Development Award from the National Institute of Mental health to investigate the psychobiology of obsessive-compulsive and related disorders. He has received orphan drug grants from the Food and Drug Administration to study new treatments for body dysmorphic disorder, child/adolescent autism, and adult autism, and a grant from the National Institute of Drug Abuse for a study on the neurobiology of pathological gambling. He has received several grants from the National Institute of Mental Health, and the National Institute of Neurological Disorders and Stroke, to develop treatments for borderline personality disorder, adolescent body dysmorphic disorder, and autism. Dr. Hollander has received two national research awards from the American Psychiatric Association and a Distinguished Investigator Award from the National Alliance for Research in Schizophrenia and Depression. During his career, Dr. Hollander has published more than 500 scientific publications in the professional literature. He has edited 20 books, including the Textbook of Autism Spectrum Disorders (American Psychiatric Publishing, 2011), the Textbook of Anxiety Disorders (American Psychiatric Publishing, 2002 and 2009 editions), and the Clinical Manual of Impulse Control Disorders (2006).